As candy lines store shelves and jack-o’-lanterns make their front porch debut, people of all ages know it’s time for a few frights. To help Halloween devotees celebrate, Travelocity’s travel experts have identified 13 destinations for a ghastly getaway either at home or abroad. Halloween makes a splash at SeaWorld San Diego during its Halloween Spooktacular at SeaWorld celebration. This family-friendly program features trick-or-treat stations for kids in costumes, a special Halloween-themed Clyde & Seamore’s Spooky Adventure sea lion and otter show, Penelope’s Pumpkinfish Patch, a variety of up-close animal encounters and photo opportunities at the Mermaid Grotto. The celebration takes place Saturdays and Sundays during Sept. 21–Oct. 27. 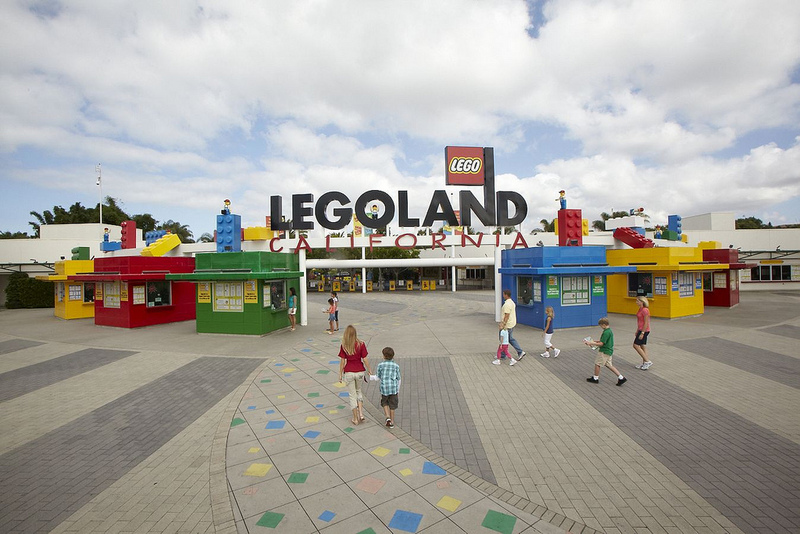 Legoland California in Carlsbad joins in the Halloween fun every Saturday and Sunday in October with its annual Brick-or-Treat celebration, featuring a one-of-a-kind, four-foot tall Lego jack-o-lantern. Children ages 12 and under can participate in fun-filled costume contests and trick-or-treat with a souvenir goodie bag along the park’s Brick-or-Treat Trail, featuring a kid-sized cul-de-sac of spooky Lego homes with fun and creepy creatures. For parents, San Diego’s uptown community of Hillcrest offers devilish delights during Nightmare on Normal Street, an annual Halloween street party and costume contest on Oct. 26 at the San Diego LGBT Community Center. 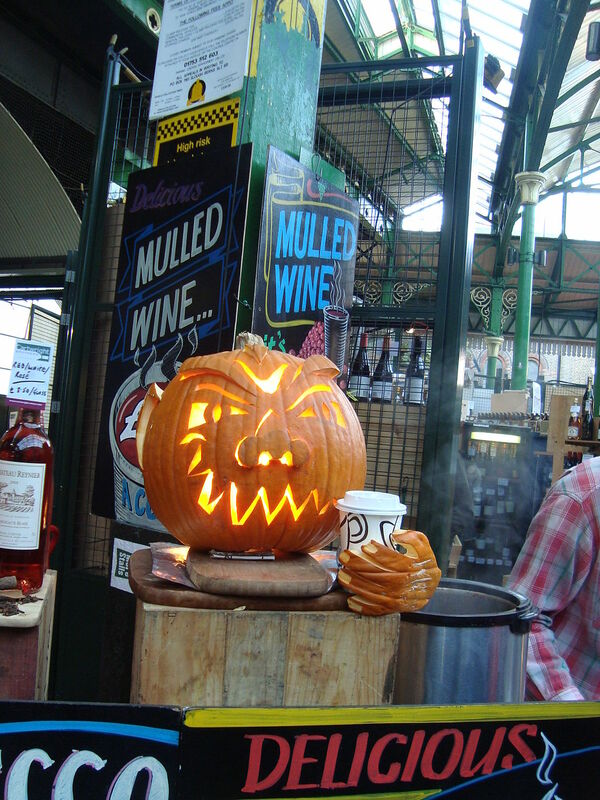 Festivities include music, food, a beer garden and other ghoulish entertainment. This ticketed event is for guests ages 21 and older. 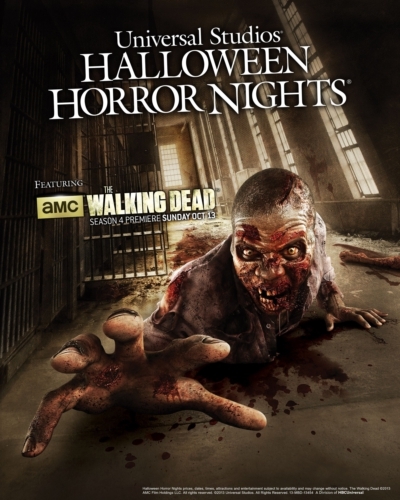 As a fan of zombies and zombie movies, I’m thrilled that cable network AMC’s ‘The Walking Dead‘ will once again be resurrected at Universal Studios Hollywood And Universal Orlando Resort‘s’ Halloween Horror Nights. Fans can walk in the footsteps of human survivors when Universal Studios Hollywood and Universal Orlando Resort debut all-new terrifying mazes inspired by season three of the critically acclaimed television series beginning Sept. 20. 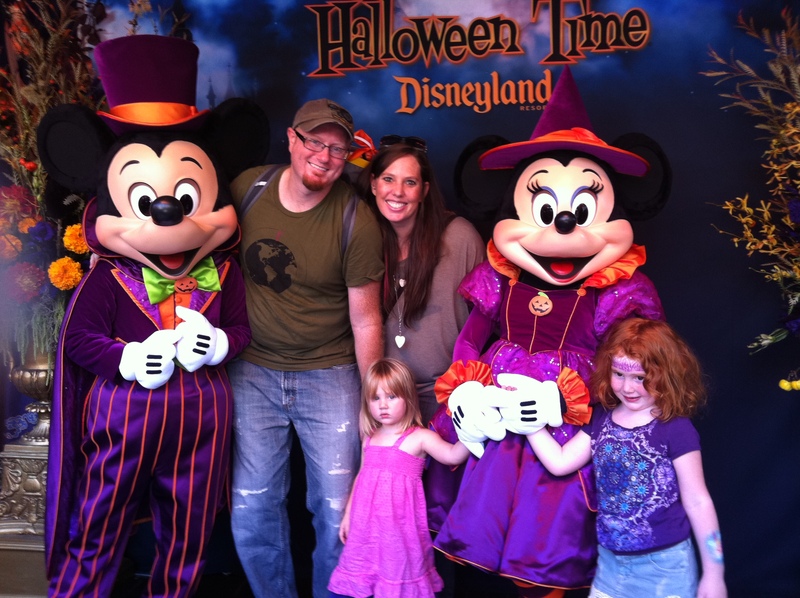 Halloween time is my favorite time to visit Disneyland. The resort is decorated with pumpkins and scarecrows, rides such as Space Mountain and the Haunted mansion are even spookier and the fireworks show is the best. Also, the weather is usually ideal at this time of year. The heat of the SoCal summer has — thankfully — worn off but evenings are still warm enough to not need a sweater. One of the top things on my daughters’ — and, admittedly, my — list of things to do this year at Disneyland was visit the Little Mermaid Ride which opened at California Adventure. The ride, a classic Disney dark ride, lived up to my expectations. My favorite part was being transported “under water,” and it was also neat to see how technology hasn’t changed all that much over the years to make a dark ride such as this or older-style rides seem out of date, meaning that Aerial’s undersea adventure will be thrilling guests for years to come. I also had the privilege to stay at the renovated Disneyland Hotel during my visit. While the renovations to the resort are not complete, the rooms are finished and look great. We stayed in a one-bedroom suite, which with two queen-size beds and a pull-out couch, could easily sleep six people — and possibly more — without even feeling squished. A wet bar area with a fridge was a nice touch and any parent knows that having a fridge is almost a necessity with young kids. While we didn’t check out the newly revamped restaurants (saving that for next time) we did check out the bar (the kids were asleep — I swear!). And the tiki-style bar, Trader Sam’s, was the ideal place to relax after a busy day at Disneyland. The bar itself is small and intimate, but the outdoor patio and fireplace area are perfect for lounging with a group. They also serve snacks until late, which worked out perfectly for us. 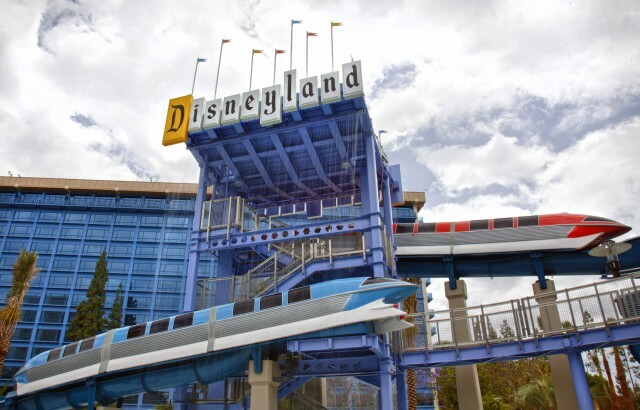 While one pool at the Disneyland hotel remains to be completed, the most spectacular addition to the resort is surely the monorail slides. We spent an entire morning riding the two slides with our 4 year old and 2 year old. I think the best part about them is that there is no age limit or restrictions on the slides. Your little one just has to be brave enough to go down. The resort provides life jackets for non-swimmers and lifeguards at the top and bottom are there for safety. It was awesome watching our 2 year old go down. She had a giant smile on her face at the bottom and gave a bit whoop before she slid down. During one slide, she turned around and went down backward and even that didn’t slow her down. With several restaurants, such as Goofy’s Kitchen, and a new pool area, yet to try out, I can’t wait until next Halloween…or maybe I won’t, and we’ll return at Christmas, which is my second-favorite time to visit Disneyland.